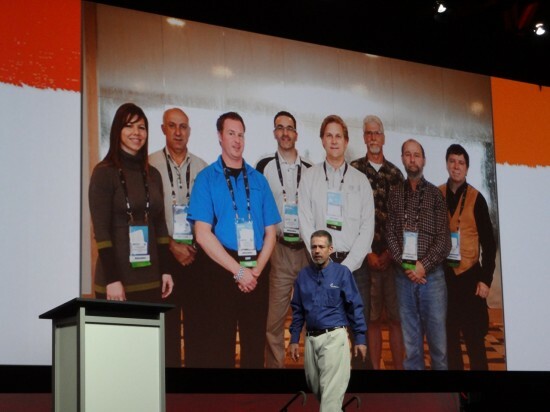 Richard Doyle was up next to announcing the 2012 SWUGN Awards. 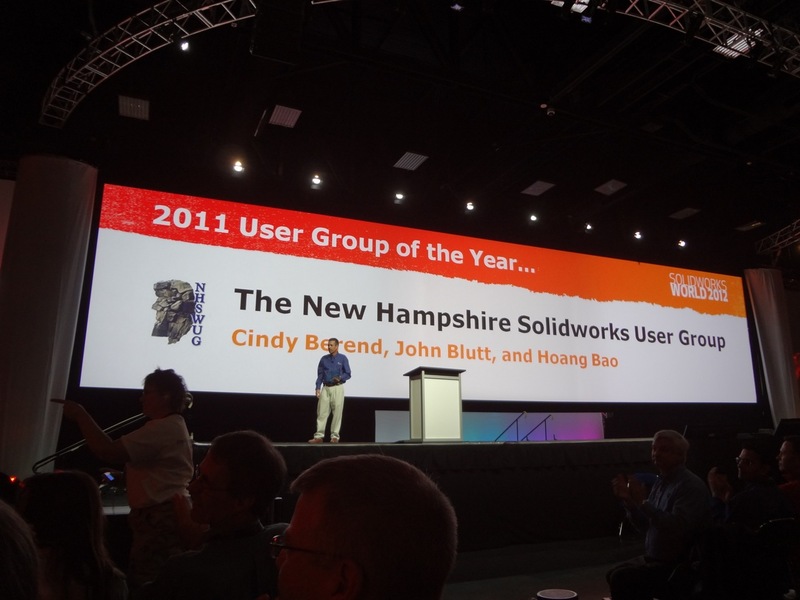 The User Group of the Year was the New Hampshire SolidWorks User Group. 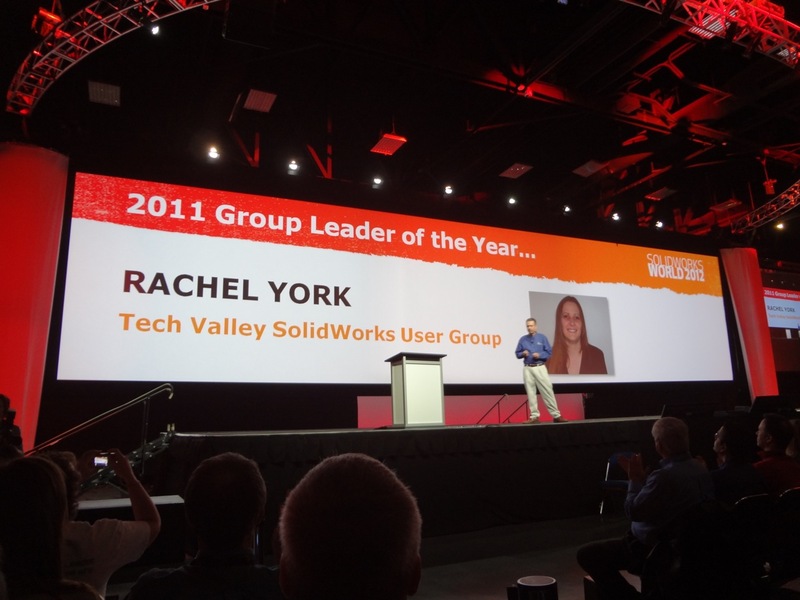 (Congrats to Cindy, John, & Hoang) The User Group Leader of the Year was Rachel York of the Tech Valley SolidWorks Users Group. The Michelle Pillars SWUGN Community Award was won this year by Charles Culp. 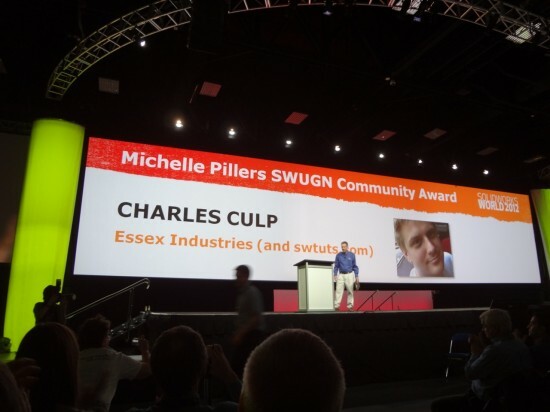 Charles has a HUGE presence in the SolidWorks Forum and has started a website – swtuts.com that is a great FREE resource for SolidWorks users to gain knowledge. Congratulations to all the SWUGN winners! 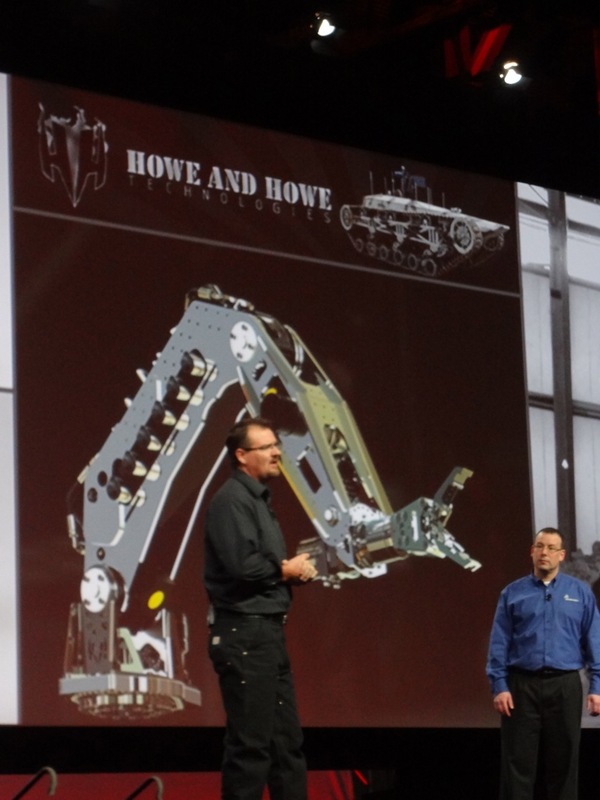 One of their latest devices is a Robotic Arm that weighs only 300 pounds, but can lift over 2000 pounds. 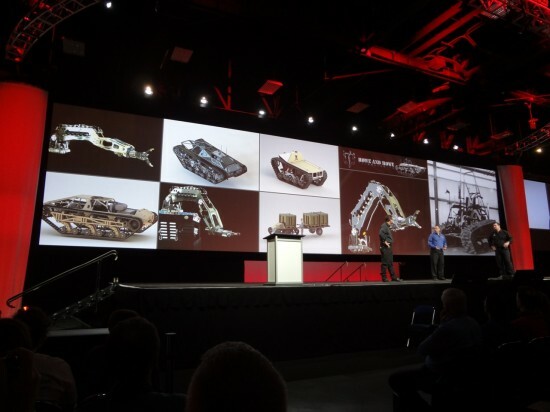 It is built using Hydraulic motors and made from mostly 6000 and 7000 series aluminum. Their hope is this arm can be used to lift heavy items in rescue situations or other situations where it isn’t safe (or practical) to send in people or other larger equipment. 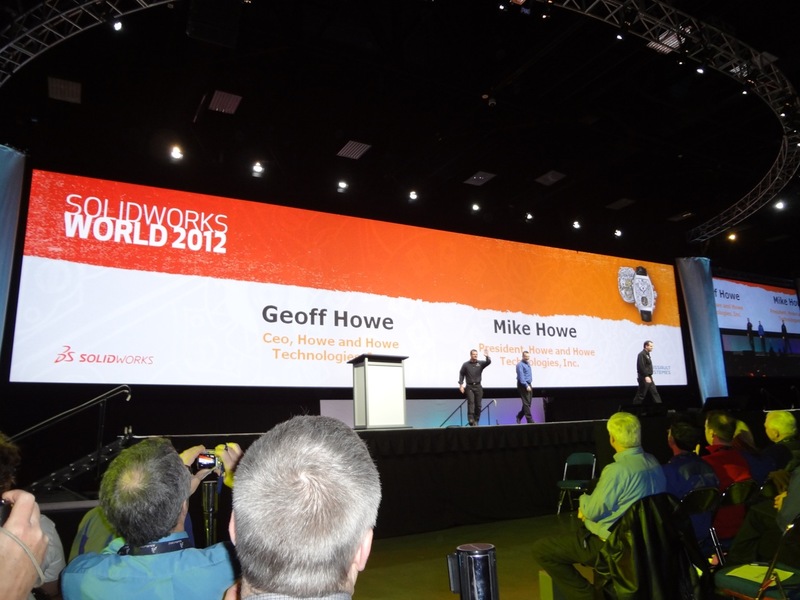 At the press conference after the General Session, Mike and Geoff hinted that they “might” have some vehicles in the upcoming GI Joe II movie coming out later this year. One of the things I really respect about the Howe Brothers is that they give back to the community. They built a modified (and smaller) version of the Ripsaw that carries a wheelchair so that a disabled veteran they knew could enjoy the many outdoor activities he used to be able to do. 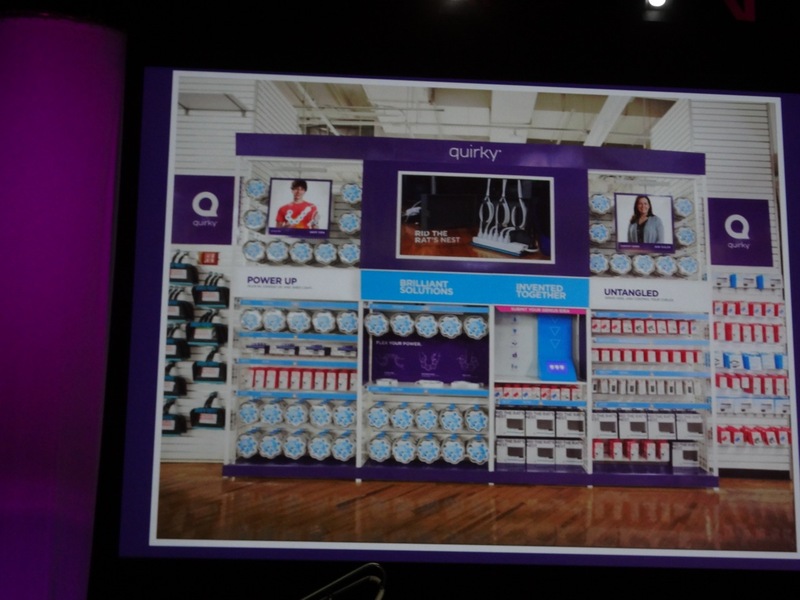 It can take quite a bit money to develop any product these days. 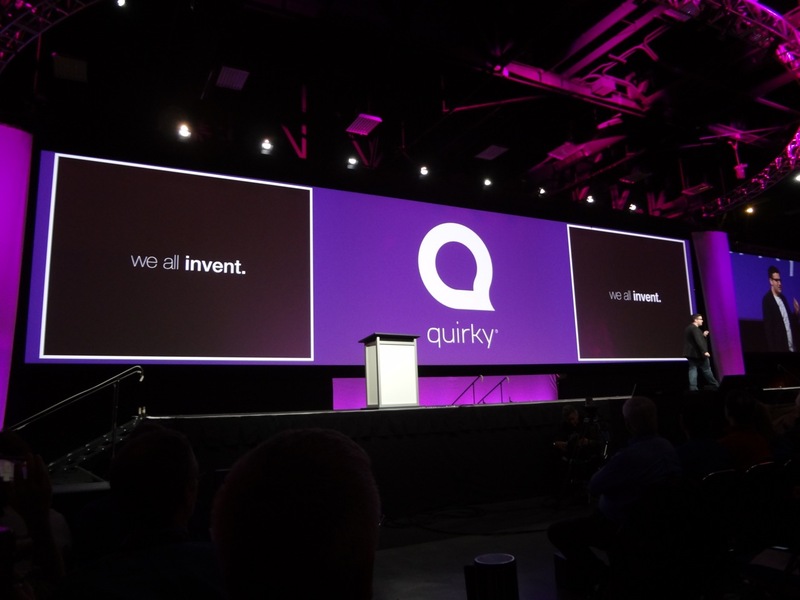 Quirky.com allows someone with a great idea but no capital to bring that idea to market. 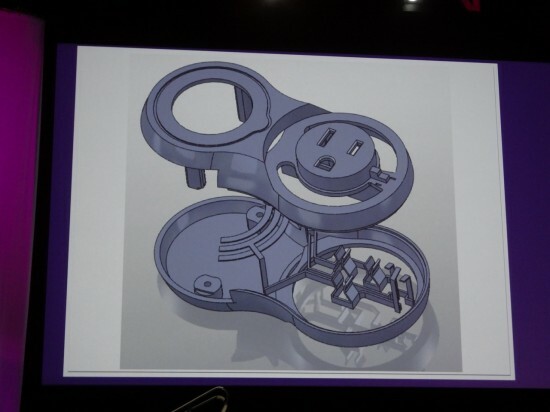 I especially liked the pivoting power strip design which was their “case study” of sorts for the presentation. (I might have to pick one of those up!) They have sold over 200,000 of them in the last 6 months. 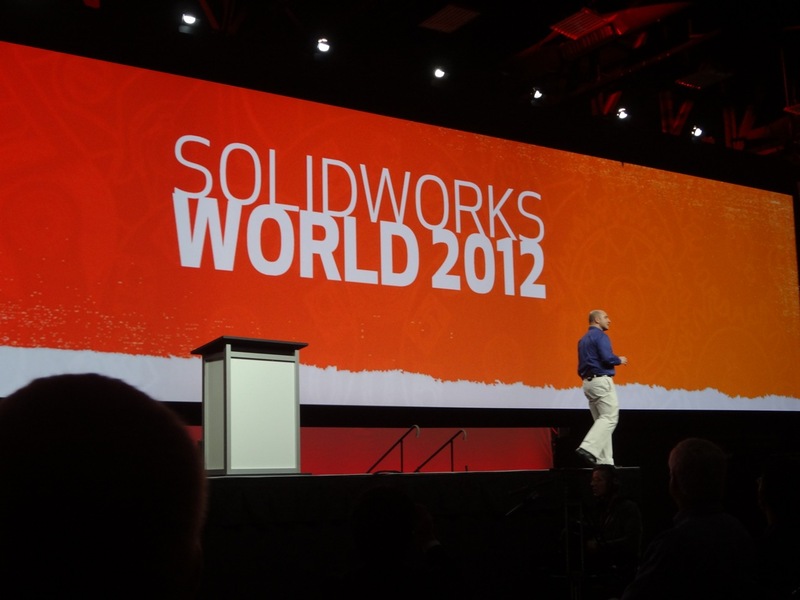 Shockingly enough, we finished this General Session EARLY? 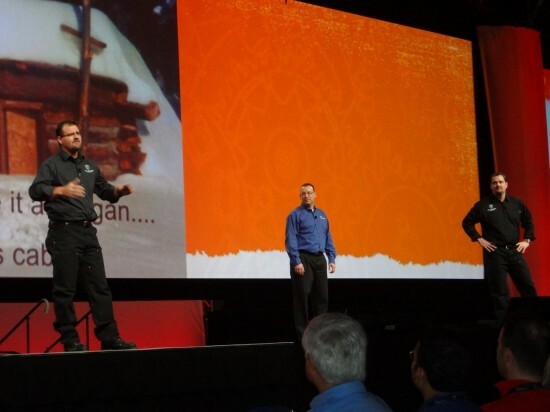 I don’t remember the last time that happened….but it did give everyone a little extra time to get ready for that 10:30 breakout session. I’ll have the Wednesday Session posted soon.